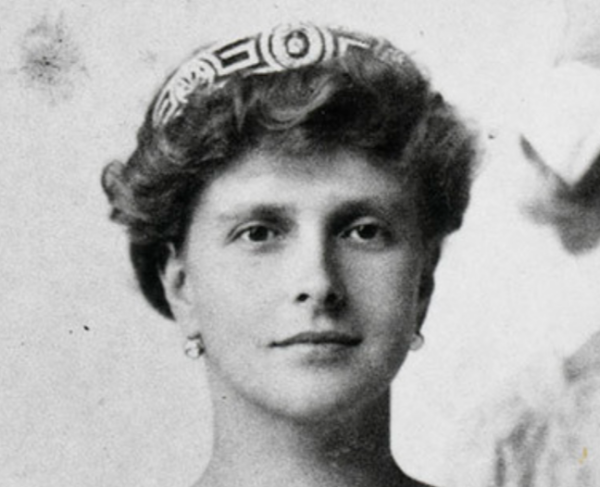 We spent a lot of the last month here discussing British royal wedding tiaras, and today, I've got a deep dive into the history of one of the most fascinating of them all: the diamond meander bandeau that belonged to Princess Andrew of Greece and Denmark. The term “meander” is another word for the Greek key design that makes up the band of this tiara. 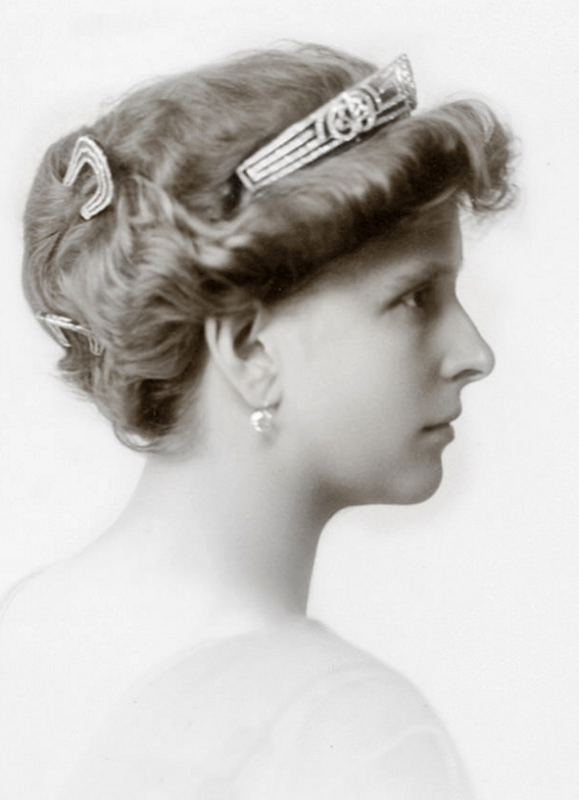 No one seems to know precisely when Princess Andrew, who was born Princess Alice of Battenberg, acquired the tiara, but it would make sense that she received a Greek key tiara after marrying Prince Andrew of Greece and Denmark in 1903. The tiara is made of diamonds, and the Greek key design is punctuated by a central laurel wreath element and two honeysuckle elements. 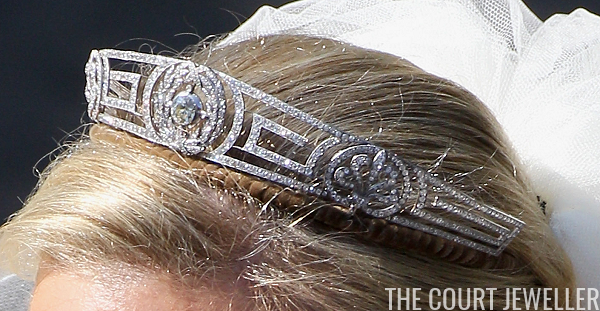 The design suggests an early twentieth century creation, and indeed, Geoffrey Munn argues that the tiara was made around the turn of the century in France, perhaps by Cartier. 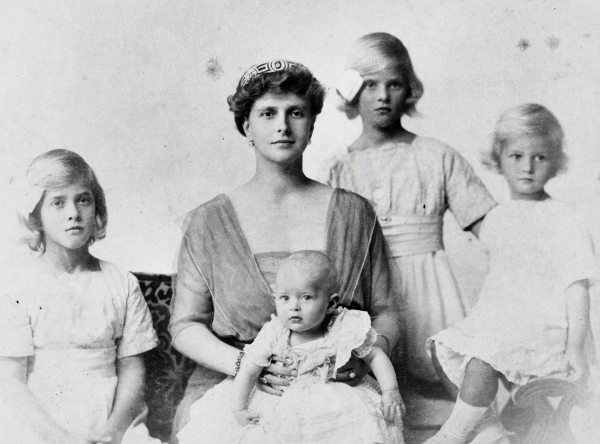 The earliest photographs we have of Alice wearing the tiara were taken around 1914, a decade after her marriage. 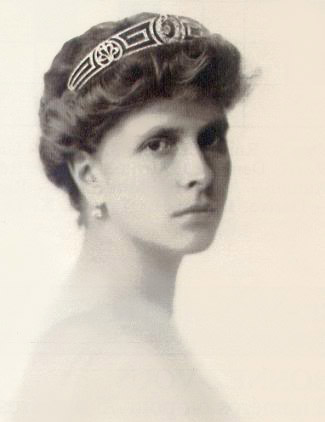 Alice owned the tiara until 1947, when she gave it to her new daughter-in-law, Princess Elizabeth, as a wedding gift. Had Elizabeth not become queen only a few years later, this tiara might have been a perfect piece for a princess. But history had a different plan. Elizabeth quickly graduated to grander pieces suitable for a sovereign, and she was never photographed wearing this tiara. Instead, the tiara was handed over to Princess Anne, who still owns the piece today. It was officially given to Anne by her mother in 1972, just before her engagement and wedding to Mark Phillips, though she had already borrowed the tiara and worn it in public in previous years. Anne has worn the sparkler on a regular basis at state functions and in official portraits, but the piece’s most prominent outing in recent years was at the wedding of Anne’s daughter, Zara Phillips. 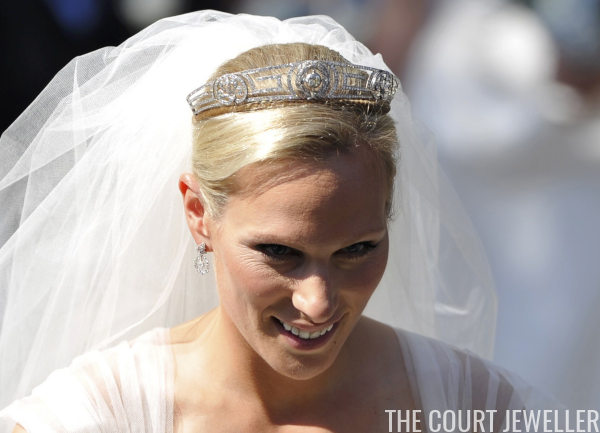 Zara paired her great-grandmother’s tiara with a veil for her Scottish wedding, paying tribute to her lesser-known royal heritage.